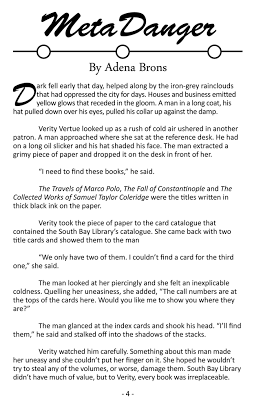 As promised, here's the second excerpt from the first issue of Two Fisted Librarians! Meta Danger! Just to prove that it really exists, here are some copies of the first issue of Two Fisted Librarians! Awesome! Are you ready for some two fisted librarian action? We're finished! Submissions have been edited. The zine has been laid out. And copies are being printed! Just in time for the ALA conference next week! If you are interested in acquiring a copy of Two Fisted Librarians you should come by the Zine Pavilion at the conference. Maybe during the zine swap that's being held on Friday, June 28th from 5:30-7pm! Of course it will also be available at the booth whenever I'm around (which should be a lot). I'll also be at the Iowa City Zine Librarian (un)Conference July 13th-14th, the Portland Zine Symposium August 10th and 11th, and lots of other places. Plus you'll be able to order a copy online at some point. 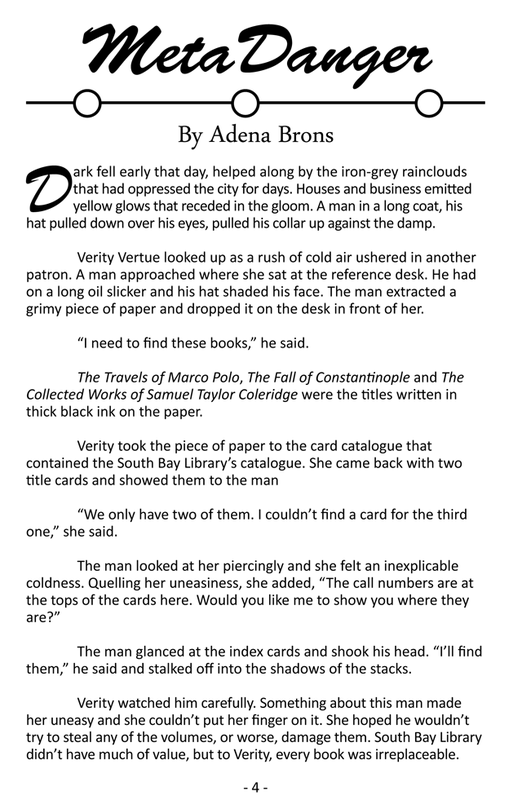 Just to prove I'm not lying about the zine existing, I'll be posting excerpts every Friday for the next month. Make sure you come back to see the others! 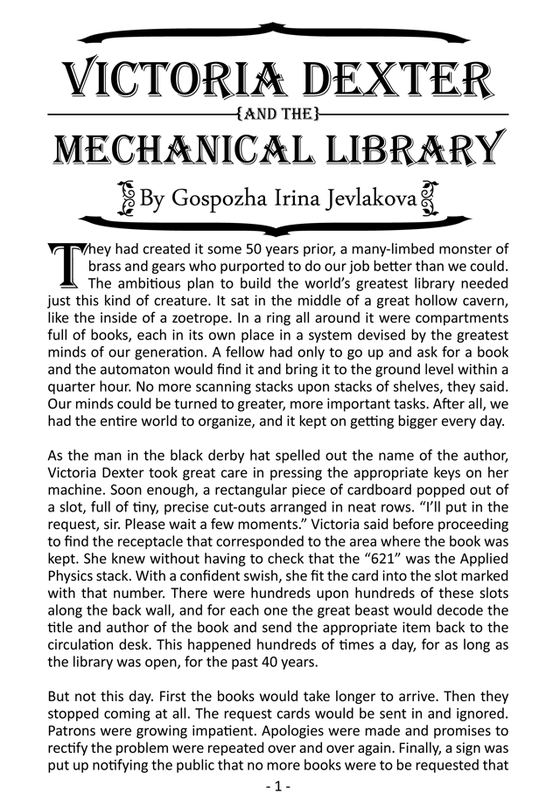 Here's the first: Victoria Dexter and the Mechanical Library.